Bootstrap is one of the popular frontend framework used to build websites from the readymade blocks. There are plenty of static site builders making use of this framework and offer premium services. Mobirise is one such platform help individuals, developers and agencies to create mobile friendly sites in minutes. We have used Mobirise for the past many months and here is a genuine review before you want to invest your time and money. Mobirise is a standalone app for PC and Mac which allows to create websites using Bootstrap 3 and 4 frameworks. It can be used offline, though you need internet for certain features like image searching and publishing through FTP. There are hundreds of premade blocks grouped into different themes. The blocks can be like contact form, header menu, footer menu, Google map, slider, social icons set, testimonials, pricing plans, team widget, etc. You can just drag and drop the blocks and build your site in minutes. Each block can be customized further to suit your style. This is a similar concept used in most of the Bootstrap site builder tools. 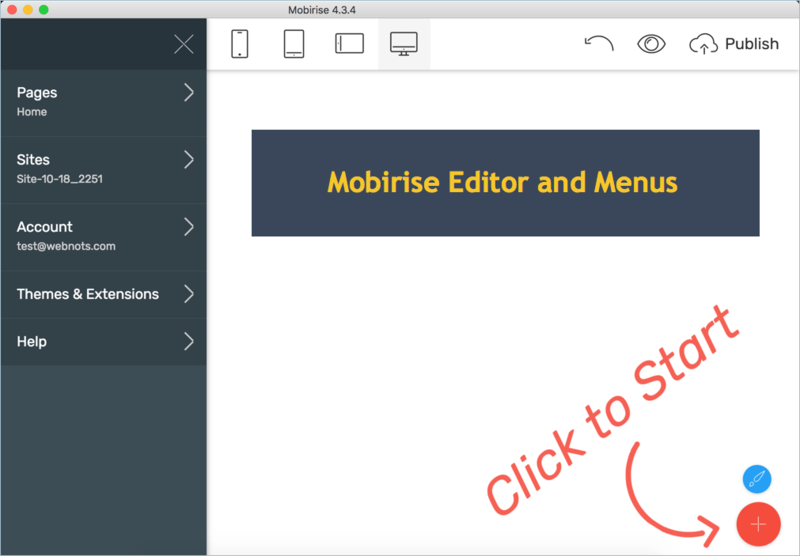 The basic version of Mobirise can be downloaded from their site for free. But the free version will not help much to build a good website. They offer themes and extensions which can be purchased independently as individual items or as an all in one kit. In our opinion individual items are priced at the higher end, pushing users to buy the all in one kit. But it will be useful to invest $149 only if you are an agency or developer. For an individual user want to build few sites, this may be big amount. All the purchased items can be used for lifetime with free updates for the first year. You should buy the items again after one year in order to get updates. Again this is an important point, because Bootstrap itself will get updated frequently to the next version. So you should be in a position to move to the latest version for building new sites. In that case, every year you should buy latest updates from Mobirise which might cause budget problem for individual users. 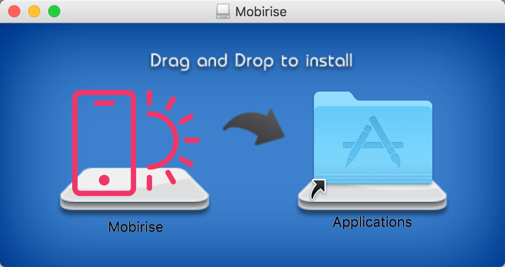 Mobirise offers different versions for both PC and Mac. Just download and install on your computer like any other software. Once installed you need to register for an account in order to use the app. Then navigate to “Hamburger menu > Themes & Extensions” and buy the items you like. Each item has exhaustive demo for you to check the live website blocks in action. First you need to create a site from the “Site” menu by choosing one of the available themes. The first page shown on main screen will be your home page. You can add additional pages from “Pages” menu. Both sites and pages can be cloned from the existing ones and modified further. Then click on the “Add Block to Page” button and drag and drop blocks to the page. The “Edit Site Styles” button allows you to change the colors and fonts at site level. You can add Google Analytics, favicon and customize title, meta description for each page under settings. This will help to have search engine optimized site which will rank better in Google. FTP is a very good option allows you to directly upload all site’s files to the server and the site will be online instantly. Once published, you can make the changes and update only the changes to your live site. Mobirise is a free to use software for both personal and commercial use. You can make any number of themes/sites and use for yourselves or clients. The license page of Mobirise can be seen here. This is a surprising factor as there are no details found other than that the app shouldn’t be modified or resold. Generally, such software offers detailed license page mentioning the use for different cases like agencies, number of users, limitations, etc. We have also sent an email to their support and clarified on the license part. In simple words – you can do anything with the resulted products (that is your site or theme) of the app without any restriction. Mobirise is undoubtedly the easiest way to create your mobile friendly Bootstrap site. You don’t need to know single piece of coding for publishing your site online. The app is very simple and organized well, offering good user experience. There are more than 500 premade blocks available in total. But the blocks under a theme can only be used within that theme. This essentially means you can’t use all 500 blocks on all sites. Approximately each theme has around 50 to 100 blocks. Also each premade block can be customized to change the color, fonts and text/image. If you have purchased Code editor then the source code each block can be modified inside the app or you can add you own block. Also you can save the frequently used blocks as user blocks for easy picking. We have noticed, though numbers of blocks are more the varieties under each category are limited. For example, there are only two premade header menu blocks definitely not sufficient. The latest version can be downloaded from the site which will automatically use previous login and projects. Easy to use sliding menu with simplified items. You will never search for the menu items. Drag and drop blocks within the app, you can easily move the blocks up or down and customize the styles. Publish to local drive or directly FTP to the server. 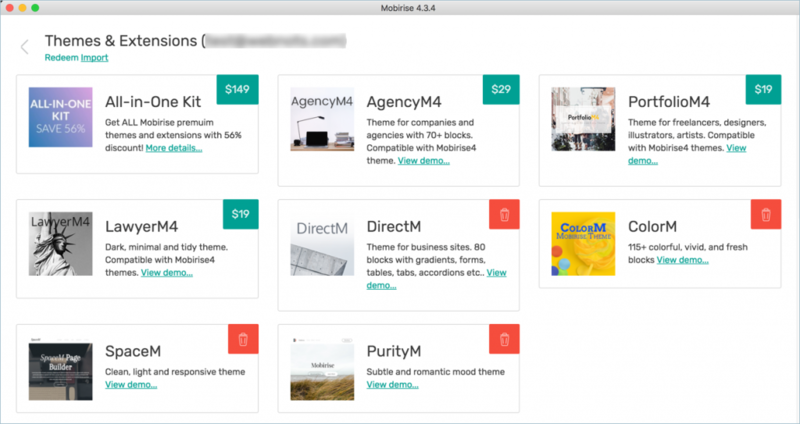 Premium themes and extensions for purchase. Sites, pages, content and images – all can be maintained within the app. Free online image library to use royalty free stock images. Though the app will be attractive at the start, you will find many missing features. 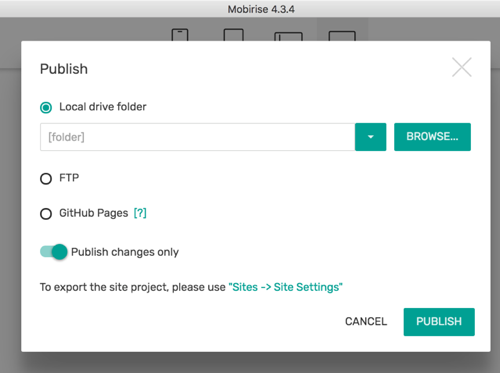 There is no file management option available in Mobirise. You can’t collect and store all required files for your site under one place. The downloaded site structure is more complicated having too many script and CSS files. You can’t change the site structure by combining CSS and JS files into simple folders. Not possible to embed PDF documents. Only two menu blocks are not sufficient to create different variety of sites. The forms will use the third party service called formoid (suspected Mobirise product). When used, it will automatically create an account for routing your emails. If you don’t like this, you should manually remove the email id from each form block before publishing your site and code yourself for processing emails. The site contains the complete theme’s CSS / JS framework regardless of whether you have used the blocks in the HTML or not. For example, even you don’t use progress bar component, there will be relevant CSS codes in the style.css file. This will make your site heavy weight though you have only few pages. The source code contains plenty of Mobirise links which looks unprofessional for a paid service. Bootstrap is the only available framework; there are no other frontend frameworks to choose. Mobirise has a dedicated forum, email support and complete demo / documentations. These will help you to get decent support when needed. But we still noticed there are misalignments in the elements of some blocks which you may need to adjust the code manually. As far as we have checked, there is no ticketing system for handling issues from premium users. It is true that Mobirise will help you to build website in few minutes. But the questions are how far it will help individual users who need lightweight site within few dollars of budget. Nowadays you can get a very good Bootstrap theme for less than $10 from any marketplace. On other hand, Mobirise is a best option for agencies and developers. There is no need to worry about licensing part and you can build unlimited sites for clients for $149 per year. So we recommend purchasing Mobirise paid package if you have a need for creating multiple websites. For a single Bootstrap site, look for an individual theme seller to purchase a theme and spend some time or money for onetime customization.